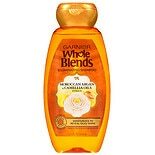 Shop Garnier Whole Blends Shampoo with Moroccan Argan & Camellia Oils Extracts, For Dry Hair (12.5 oz. )12.5 oz. 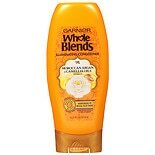 Shop Garnier Whole Blends Conditioner with Moroccan Argan & Camellia Oils Extracts (12.5 oz. )12.5 oz.